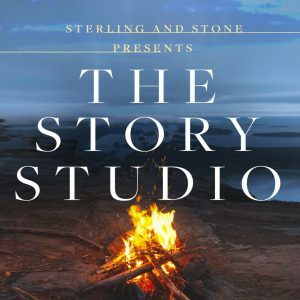 The Story Studio is presented by Sterling and Stone, a company made up of Johnny B. Truant, Sean Platt and David Wright. This podcast is a new one to me and in fact only started in February. However when I started listening it became pretty clear early on that although this one was new it had evolved out of a Self-Publishing Podcast that had ended after it’s 299th episode in January. I have to admit I wasn’t sure at the beginning I was going to stick with it. I felt a little like I’d walked into the middle of a party where everyone knew what was going on apart from me, however, I gave it a few more episodes and I’m glad I did. These guys talk all about the story – how it develops, arcs, background, structure, characters, you name it and they will discuss it. I’ve listened as I work so have scribbled a few notes on what I’ve found particularly interesting. Future markets for storytelling was one point. Markets such as gaming I hadn’t even considered, and probably won’t, ever, but it’s interesting information. Advice such as don’t obsess over the numbers. It’s so easy to do. Spending your time checking figures here there and everywhere instead of getting on with the work. Maintaining the balance when you’re torn between writing literary work over the more commercial work and it was interesting to hear that their next literary work they also want to make into a commercial success. The presenters know each other very well. There’s banter as they chat which is friendly and I enjoy hearing about all the achievements and challenges they face in their writing lives. I haven’t checked out their books yet. It sounds like there are hundreds of them so they are way ahead of where I am which makes the podcast all the more useful for learning from their experiences. They have a terrific website which has details of all their podcasts, books (I was right, there are hundreds of them!) and there is a section just for writers, yeah, you heard it here first.